1. 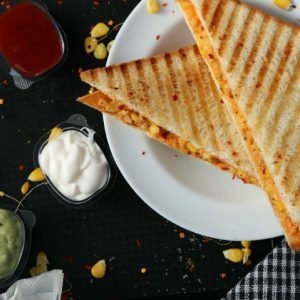 Spread mayonnaise on 3 bread slices and place a spoonful of the lettuce. 2. Add the shrimps and sprinkle some salt. 3. Add worcestershire sauce on top. 4. Cover with some lettuce and a bread slice. 5. Press firmly and trim the crusts (if desired). 6. Toast the sandwiches and cut in half. Tip: You can also add sliced tomatoes or onions if desired. 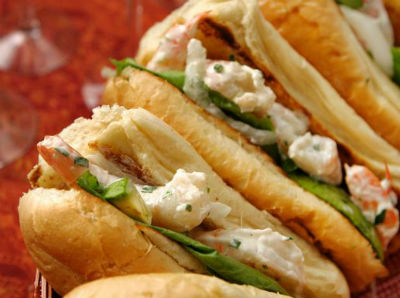 Feel free to comment or share your thoughts on this Shrimp Sandwich Recipe from Awesome Cuisine.